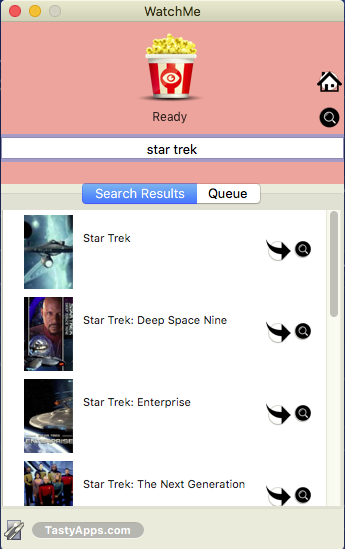 WatchMe allows you to search for and download TV series episodes from the Internet. If you know the season and episode number you can search directly for the episode. 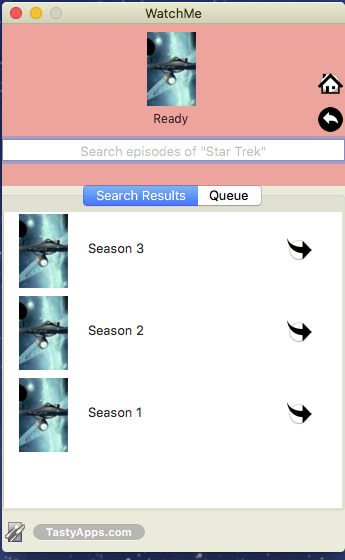 Or WatchMe can display the episode names for each season to help you find the episode you are looking for. 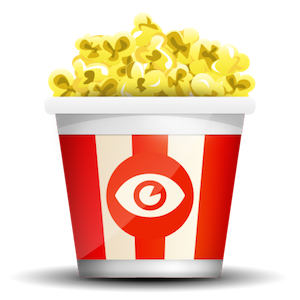 And WatchMe has a Smart button to help you select the best quality or the fastest download. 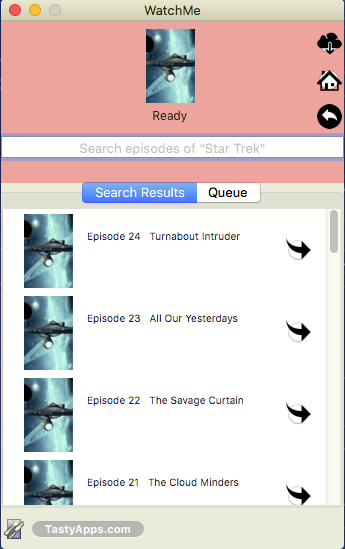 The Smart button will also download all the episodes from a single season with just one click. Here is how it works.